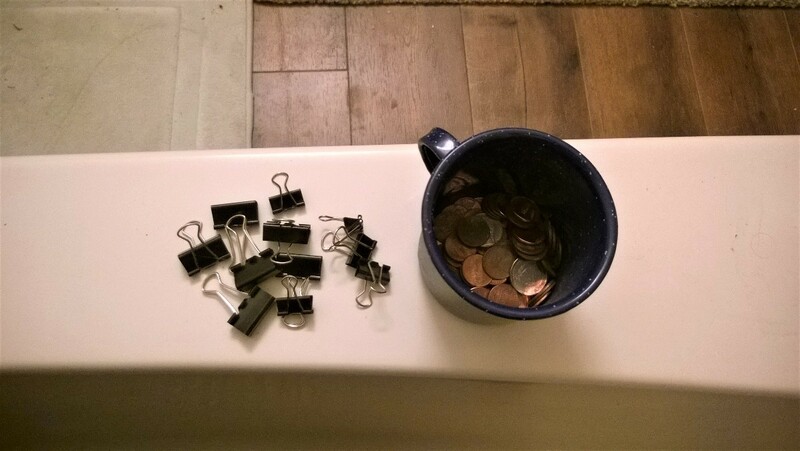 Many of us have had this problem especially if you don't have a cast iron tub and a magnetic curtain. One solution would be to weigh the bottom down with something sewn into a new hem. 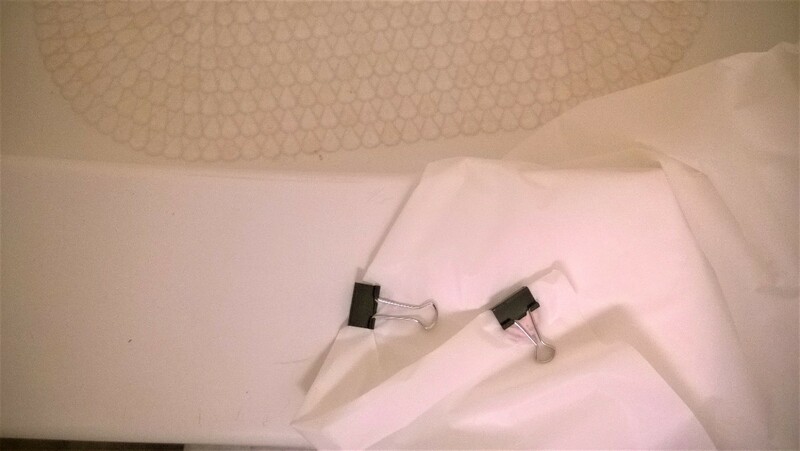 This is a guide about how to keep a shower curtain lining from billowing. I have a Dollar Tree shower liner. It's almost not worth it but my shower curtain is lace, so, for now, I have to have one. When I am inside, it billows and actually adheres to my legs. Enough is enough. Until I get another one that is thicker, this is what I did. If you have this problem, I have a solution and it only costs .24! 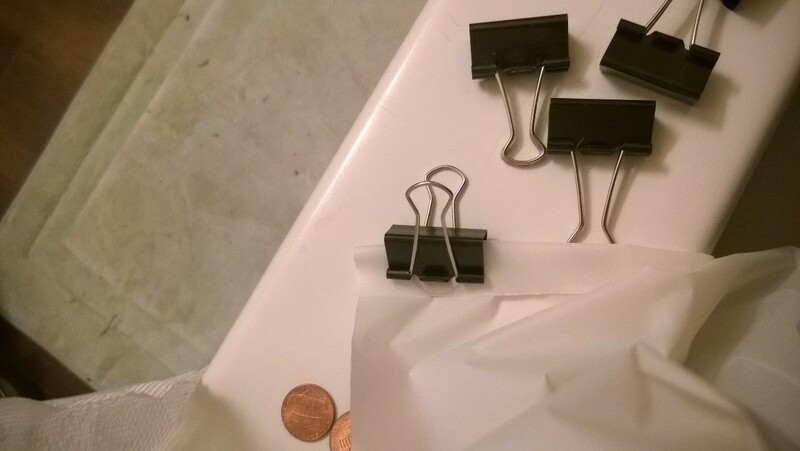 I binder clipped 2 pennies while folding over the hem twice so the water doesn't get inside. This means you have to do it on the edge that faces away from the water. But if you do it on the wrong side, you can always flip it. I used 12 binder clips and you can use more if you want. I tested it and it works pretty good. I might put more on later after I test it with me in the shower! N-JOY! Won't they rust? My shower curtain does the same. I am going to hem mine and pop those glass half marbles into them, I just haven't remembered to do it. Send us a picture when you do. It sounds like a great solution and it would have a beachy feel as well. 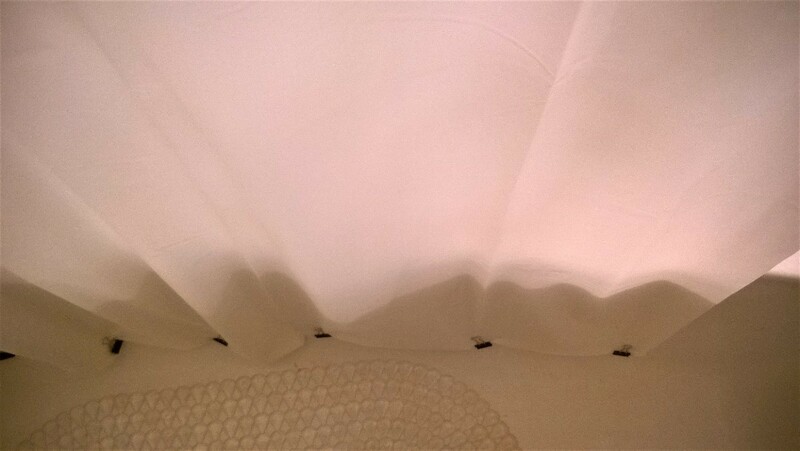 They will eventually rust but for two things: one is, they are on the inside of the curtain between the curtain and the shower. Now that doesn't mean they won't get water on them, but very little. The other is I am not going to keep this "dollar tree trash bag" thick curtain for long. It was a temporary fix. But yes, I agree that your idea of the glass nuggets are a great solution. Makes no difference where you buy it, they all do the same thing. There are thicker ones but thick ones can still lift also.